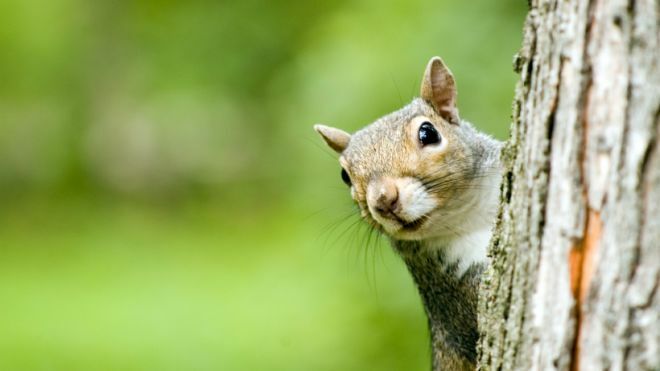 Should you worry about #SquirrelPlague? I’m not sure if you’ve seen the news yet of the squirrel found in a Los Angeles park which tested positive for bubonic plague? Avid readers may have been my recent Black Death post, but there’s nothing like a topical blog post, so I thought I’d come back to it in light of today’s news. In schools across the (Eng)land, children are taught that between 1665 and 1666 anywhere between 15-50% of the UK population was wiped out by bubonic plague. However, this was just part of an extended period of intermittent plague epidemics which began in 1347, killing between 75-200 million people. Pretty significant! So given the identification of Yersinia pestis in LA, should we be worried? The simple answer is no (not least because in its Bubonic phase it is not highly contagious) . Sporadic cases of plague occur from time to time in both wild and domesticated animals. On occasion it is also found in humans, with 999 probable or confirmed cases between 1990 and 2010. The fact that Plague has been identified isn’t, in itself, a cause for concern. Early treatment with antibiotics, which weren’t available in the 1600’s, is very effective. For outbreaks of novel disease, public health agencies take a number of proactive measures, such as the closure of the park and contact tracing of people potentially exposed, to try and reduce the spread of disease. From media reports, it looks as though all the measures that I would expect to be implemented at this early stage have been. Plague is often high on the list of organisms that could be used by terrorists. This is nothing new, in fact, there is evidence that early Mongol armies casually tossed plague infected corpses over fortress walls in an effort to defeat their enemies in the 1346 Siege of Caffa. And there is certainly a general level of anxiety around the term, having even been incorporated into daily language “to avoid something like the plague” (although this probably owes to earlier use of the term plague in the medical profession in a more generic sense). Plague has a complex biology; requiring the involvement of fleas and rodents and consequently on climatic conditions, as well as a relationship with social factors such as sanitation, healthcare and environment. Theoretically, the pneumonic plague form of infection has a potential for person-to-person transmission, however a relatively short infective period and poor adaptation to transmission by respiratory routes mean that it is still not highly communicable. In 1994 in Surat in India, 52 people died from pneumonic plague. However, things quickly got out of hand, partly as a result of misinformation in the media. Therefore, whilst its right that health authorities in the states are talking this outbreak seriously, and it will be interesting to see how the media handle the story when eastern news agencies wake up. But, there really is little cause for alarm. As my colleague John Twigg at UCL states, the most dangerous aspect today, would be unrestrained use of the word plague.